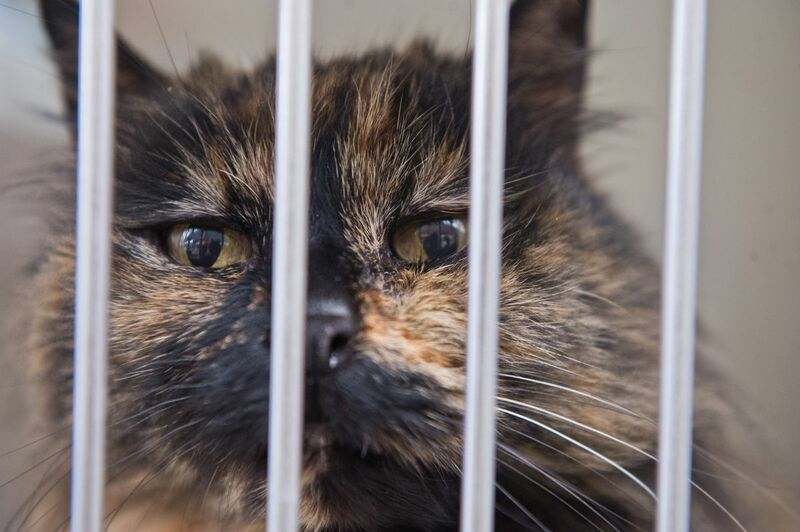 Anchorage animal shelter officials plan to drop the cost of a cat adoption to $15 this week to contend with an unexpected influx of stray felines this summer. "There's just been a lot of cats coming in," said Laura Atwood, a spokesperson for Anchorage Animal Care and Control. Shelter staff have been moving cats into dog kennels to make room, Atwood said. Atwood said it's typical to see more cat rescues during summer, but the shelter has noticed a spike, about 60 more than last year. It wasn't clear why more cats were being rescued or surrendered by owners. For all animals, the top reason for a surrender is the owner moving, Atwood said. Starting Friday, 35 cats will be up for adoption for $15 each, which includes the costs of spaying or neutering as well as food, litter, carriers, food bowls and toys. The reduced price will be in place until all the cats find homes, Atwood said. Adopting a cat that hasn't been spayed or neutered usually costs between $127 and $142, Atwood said. The surgery costs about $80. The ASPCA and the nonprofit Friends of Pets are helping cover the costs of the adoption event, and the pet and gardening supply store Alaska Mill & Feed is donating the items, according to a Tuesday announcement from the animal shelter. To learn more about adopting a pet, visit the city shelter website. Correction: An earlier version of this story incorrectly described the sources of funding and donations.